A EUMUNDI battle of words for the hearts and minds of Horizon Festival has seen Sunshine Coast academic Gil Douglas talk the talk and walk away with a win. 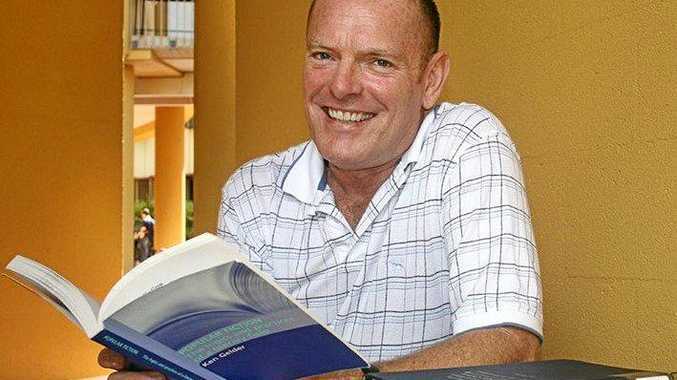 The University of the Sunshine Coast lecturer impressed in a hard-fought spoken word competition at the Imperial Hotel. The history and sociology tutor took on some more experienced performance poets and storytellers from across Australia and abroad to claim three awards at the Bunker Spoken Word Series finals. He claimed the storytelling section and people's choice award while finishing second in the poetry section with a "very character-based, left-field and kooky” poem called Ode to Dyson about a vacuum cleaner. In the final of the storytelling contest, he found himself competing against USC doctoral student Emily Larkin. Ms Larkin drew on a story written for her thesis to present a futuristic tale aimed at taking the stigma out of depression. She finished second behind Mr Douglas. Bunker Spoken Word Series organiser Dr Nycole Prowse congratulated both entrants.